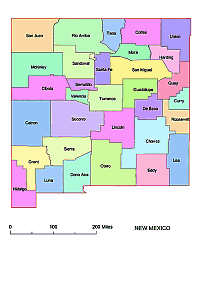 Editable royalty-free map of New Mexico, NM in vector-graphic online store. 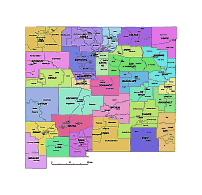 Each file is fully costumizable with the ability to change the color, font of individual counties and states to suit your needs. 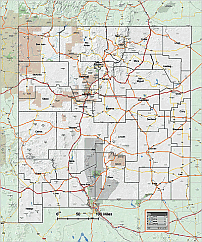 New Mexico is a state located in the southwest and western regions of the United States and and it is bordered to the northwest by the "four corner" states where Colorado, New Mexico, Arizona, and Utah all touch at right angles, to the northeast by Oklahoma, to the south and east by Texas, and to the south by Mexico. 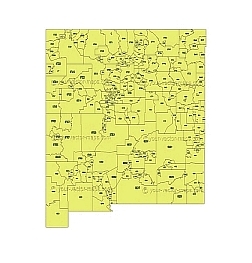 New Mexico 2015 zip code vector map. 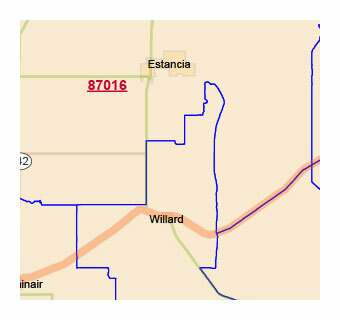 New Mexico county map, colored. 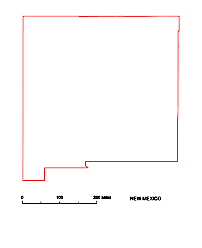 New Mexico State vector road map. NEW MEXICO IS THE “Land of Enchantment.” Nowhere else in the UNITED STATES can such a variety of landscapes, histories, and traditions be found. 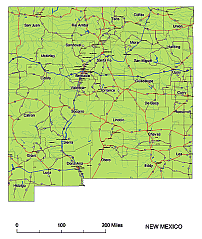 Located in the American southwest, New Mexico is part of the dry and warm Four Corners region. Although primarily arid in the southern deserts to semi-arid in the high deserts, there are also some pine-studded mountain ranges and High Plains GRASSLANDs. 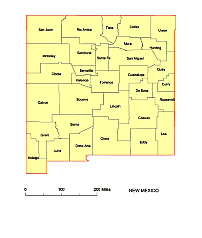 New Mexico is bordered to the north by COLORADO, to the west by ARIZONA, to the south by MEXICO and TEXAS, and to the east by OKLAHOMA and Texas.